Faux leather wine caddies with flock lined interior and silber buckle detail make a fantastic gift for the parents of the bride or groom. 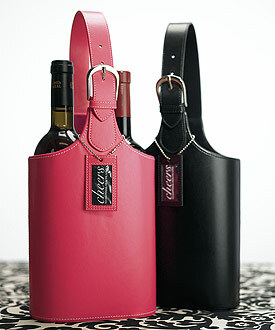 Add two bottles of their favorite wine to show them how much you appreciate their help and support. The caddy also comes with a luggage tag-style card.